MinOccML - a data format for mineral occurrence data. MinOccML is a simplified version of the IUGS-CGI EarthResourceML data standard. It is designed to support simple portrayal of mineral occurrence data on a map, and basictabular data. It is expected that this data standard will be adopted and replaced by the next version of EarthResourceML, which will include standards for both simple and complex data formats. MineralTenementML - a standard format for simple map portrayal of mineral tenement data. Australian national reporting standard for submission of digital exploration data (v4.5) - Feb 2018 [PDF 2813KB]. 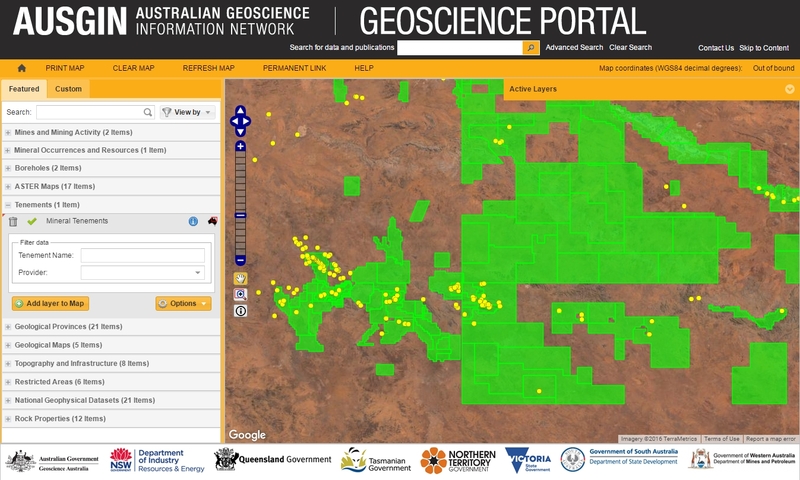 Standard vocabularies for use in digital geoscience data have been developed in Australia/NZ by GGIC, and internationally by the IUGS Commission for the Management and Application of Geoscience Information (CGI). GGIC contributes to the international vocabulary development work and only publishes its own vocabularies in cases where international vocabularies do not already exist. GeoSciML is a GML-based data transfer standard developed by the IUGS-CGI and the Open Geospatial Consortium (OGC). GeoSciML provides standard data structures for a wide range of geological data, including geological units, structures, earth materials, boreholes, physical properties, and geological samples and analyses. GeoSciML is the GGIC-endorsed standard for geological data transfer in Australia and New Zealand, and is also used in other international data sharing initiatives in Europe and North America. The EarthResourceML standard is a GML-based data transfer standard for describing mineral occurrences and ore deposits, commodities and resource estimates, mining activities and processed materials. EarthResourceML is endorsed by the GGIC as the preferred model for interoperable earth resources data transfer. EarthResourceML was developed in conjunction with GeoSciML and links extensively to the GeoSciML data standard for describing geological aspects of mineral deposits. The Observations and Measurements (O&M) standard is a data transfer standard for scientific observations, measurements and analyses of samples.O&M v2 was developed by OGC and has been published by the International Organization for Standardization (ISO) as standard ISO19156. The GeoSciML standard incorporates and extends the generic O&M standard, providing additional data structures for delivering geochemical and geochronological analyses.